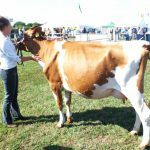 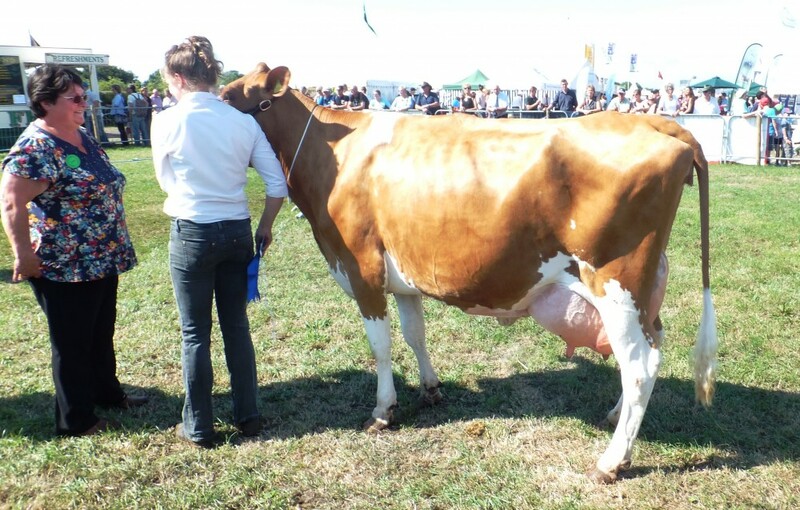 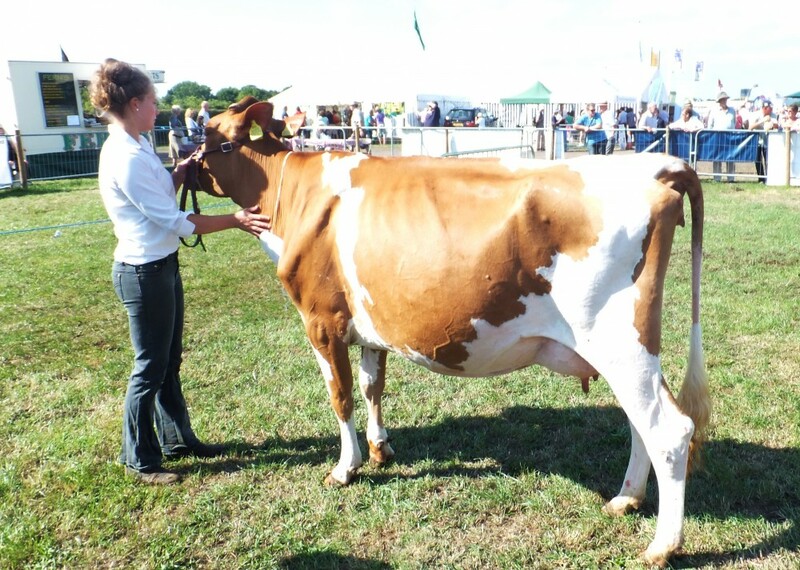 10 Guernseys were forward from 4 exhibitors for Elizabeth Grose to judge. 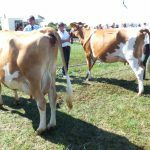 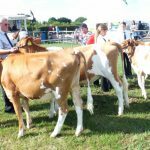 The maiden heifers had 4 forward and Trewey Prince Poppy 26 (Darcy) was placed first in front of Trewey Andante Jackie 52 (Patience) from Brian and Sheila Adams with Greensfield JO Lindley third and Kingwell Mervyns Kangaroo in 4th place. 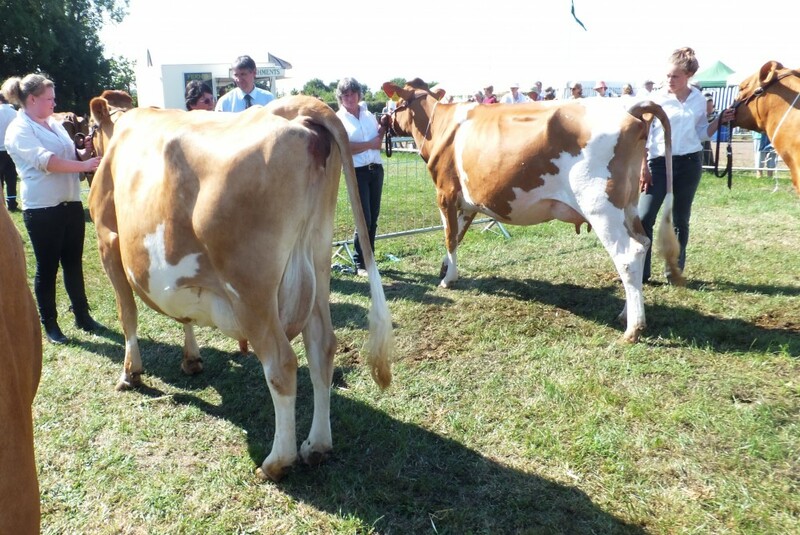 The two in calf heifers saw the Addington Fund’s Hamps Valley Annabelle 7 continue her winning ways but this time EGCS President Elect John Berry was on the halter and she has too much strength and style for stable mate Wiltown Claudia from the Adams. 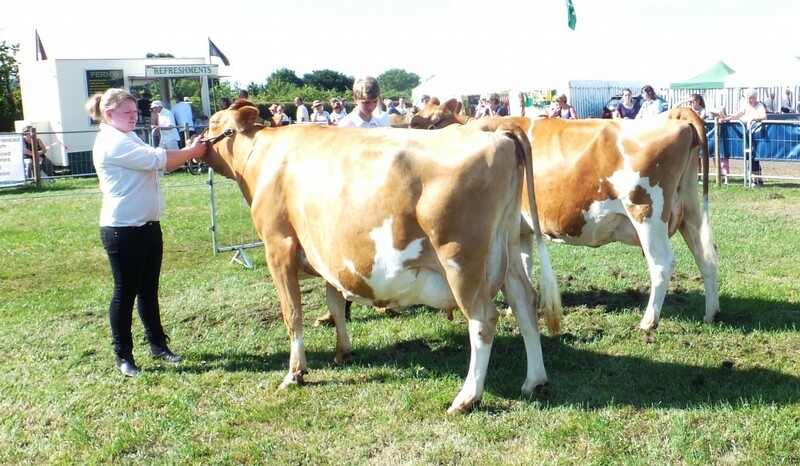 Two very good in calf cows saw the 5th calver Greensfields Heros Star winning in front of Jon White’s Kingwell HP Rum Savoye. 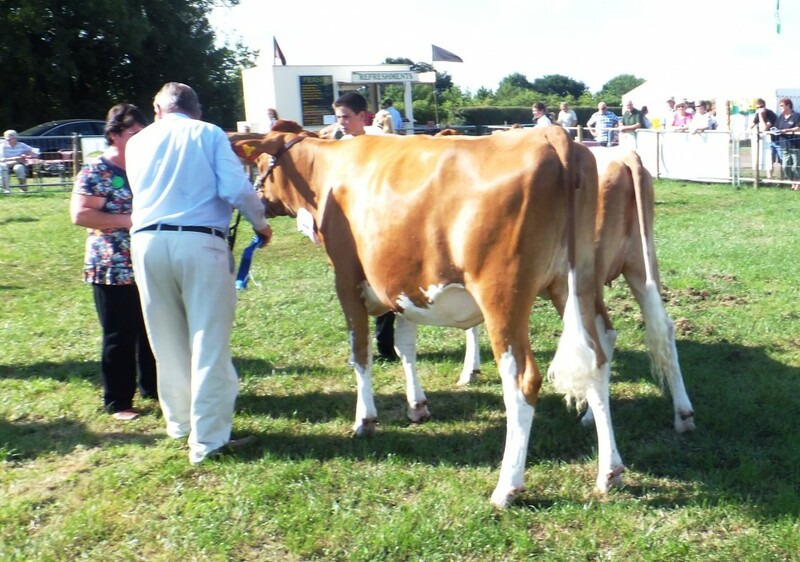 The Greenslades then brought out Greensfield Iceberg June Star a very stylish daughter of the homebred G Stinky Iceberg to win the Heifer in Milk class. 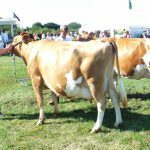 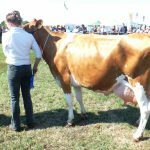 Greensfield May King Phyllis was the winning Cow in Milk and was the 5th Greensfield exhibit to come forward all sired by their own bulls. 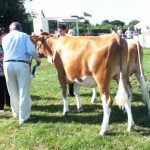 The Championship ring was full of quality but the Greenslades had the Champion with Junes Star and the Reserve with Heros Star. 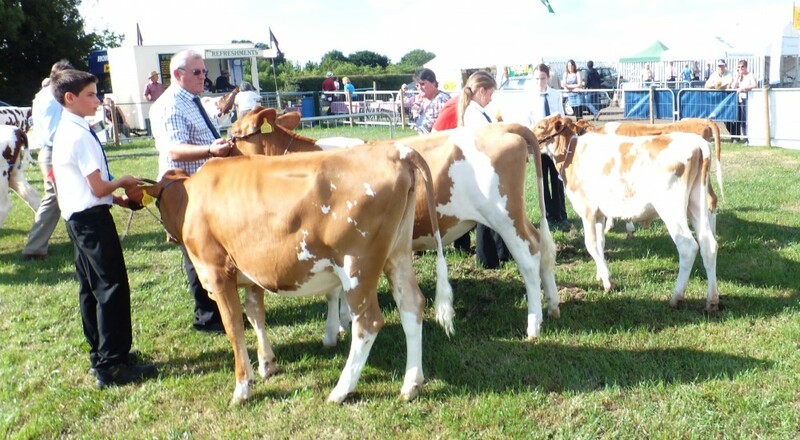 The exhibitors were very pleased to have Dennis and Rosemary Warren there to support the breed and John Berry as well, the support is appreciated.